The Forge reinvents the travel mug with high-tech insulation. The revolutionary vacuum insulation system ensures your drink will remain hot for 4+ hours. This insulation combined with a one-hand self-sealing spout, carry handle and leak-proof closure, offers a superior on-the-go drinks experience. 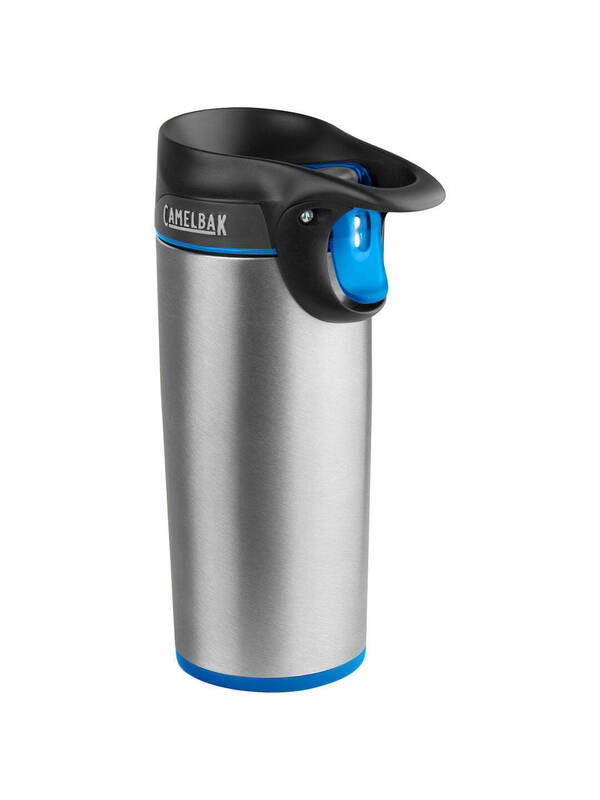 Stainless steel thermal travel mug with a black plastic handle and lid. The insulated interior keeps your drink warm or cool. The mug features a secure screw lid that slides shut and a sturdy handle. Budget plastic sports bottle manufactured in the UK from recyclable material. Clear bottle with a variety of lid colours available. Extra large capacity ceramic mug available in white or with eye-catching colour inside. 400ml capacity.